Corendon Curaçao is looking for an HR Assistant with at least 3-5 years of experience as an HR assistant. MUST speak Papiamentu and Spanish. 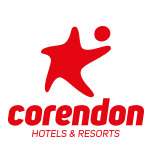 If you are the one or if you know somebody who fits the description please send CV to carmen.rodriguez@corendonhotels.com.